For the State of Virginia, The Democratic Party male elected officials are operating under a curse. What’s wrong with these men. It all started with democratic candidates coming close to overtaking the republican majority led Commonwealth of Virginia’s legislative body in 2018. 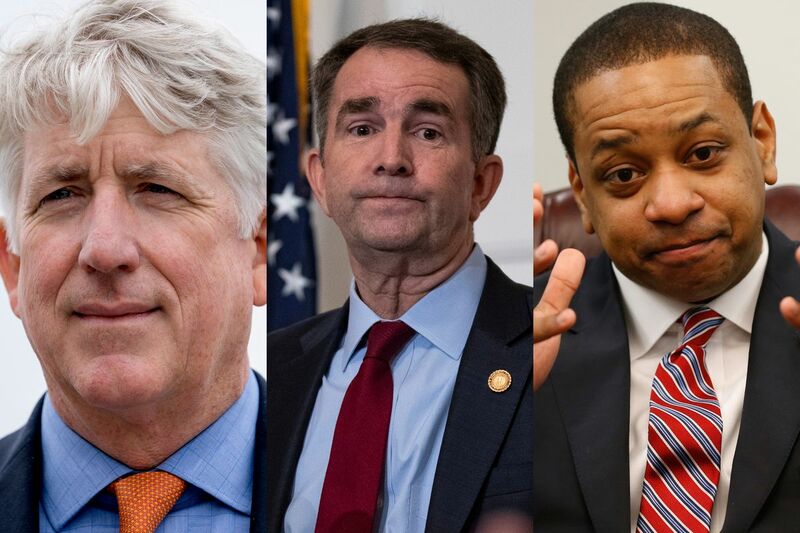 The voters backed the democratic candidates Ralph Northam for the Governorship, Justin Fairfax, as the 1st Black gifted politician for the position of LT. Governorship and then Mark Herring as the state’s Attorney General. In 2018-2019, came the decision by the Democratic Party leaders to push through a less restrictive abortion rights’ law which allowed for women’s access to late term abortions in cases where it was determined by medical experts that the fetus would not be viable pre and post birth or there was life endangerment. It was important for lawmakers to make clear that that the bill in process was “absolutely not” a reference to infanticide, and that they were focused on the tragic and extremely rare case in which a woman with a nonviable pregnancy or severe fetal abnormalities went into labor or where there was serious high risk of life endangerment. In short, the democrats were anything but transparent and careful in how they described their intent. Emotions were riled beyond measure. While there are sound, factual medical reasons for the democratic legislators to enact less restrictive abortion laws, it behooved them not to act insensitively to those who strongly disagreed on religious grounds. Late-term abortions are not favored by the vast majority of Americans from both sides of the aisle. These medical procedures are rarely done as the reasons for them are due to extreme, extenuating circumstances. When it was barred in NY and Virginia, those requiring medical treatment had to go out of state. It’s in the midst of this messy abortion rights’ legislative process, when disaster striked the Democratic Party members of Virginia’s legislative body. It started with a right wing media outlet which published Governor Northam’s 1984 medical school yearbook where he is portrayed in a KKK black robe or as a caricature with a face painted black. This racist expose put his governorship in peril but most were believing that at least the LT. Governor Fairfax was in a position to take over until, sexual abuse charges dating back to 2004 by a professor were filed against him. But then there was the Democratic Party Attorney General Herring who was third in line for the governorship, but alas, on the 6th of February 2019, he confessed that he, too, was guilty of having appeared in blackface at a college party in the 1980s. And of course, the 4th person in line is the same republican who won his election by a drawing of lots as the 2017 election results were so close which kept the Virginia Congress under GOP majority control. His name is David Yancey. While the ultimate damage remains unclear, a sense of despair permeated a party that only days ago believed it was on the cusp of winning majorities in both houses of the General Assembly in the fall and cementing its control of the state. Here’s the good news. If the VA AG Mark Herring doesn’t survive, he has a female deputy whom he can appoint to replace him, where she can take over.